Greetings Globetrotters! 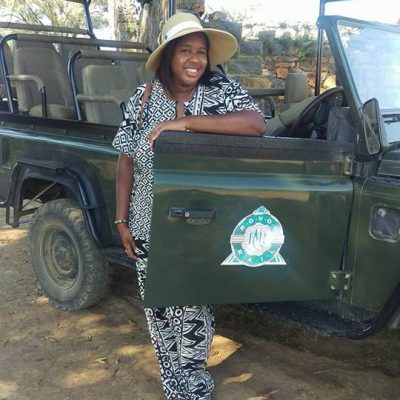 I hope all is well and that you’ve been enjoying your summer travels. 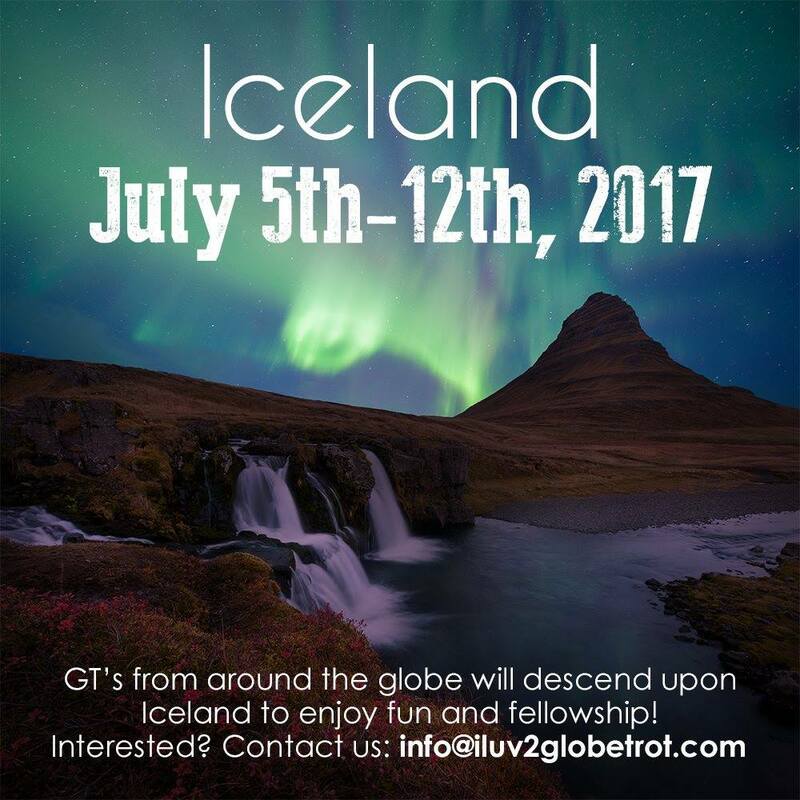 Renee, I and a few other GTs from the iluv2globetrot travel community have recently returned from our iluv2globetrot meet-up in Iceland! 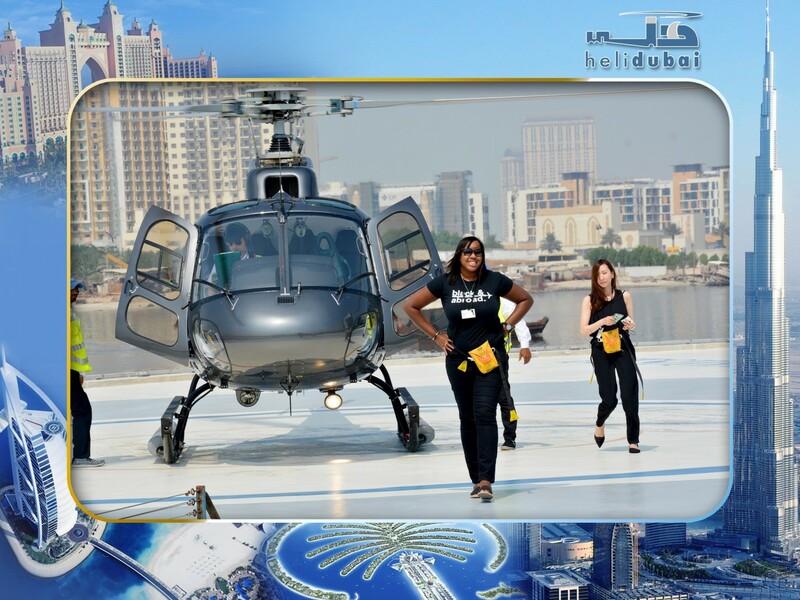 I know what you may be thinking, umm who travels to a cold destination in the summer time lol. 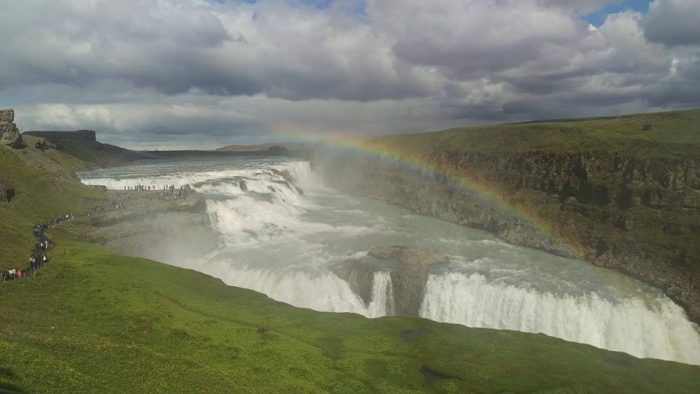 Nevertheless, we wanted to do an unconventional trip for our meet-up this year and Iceland surely did not disappoint! 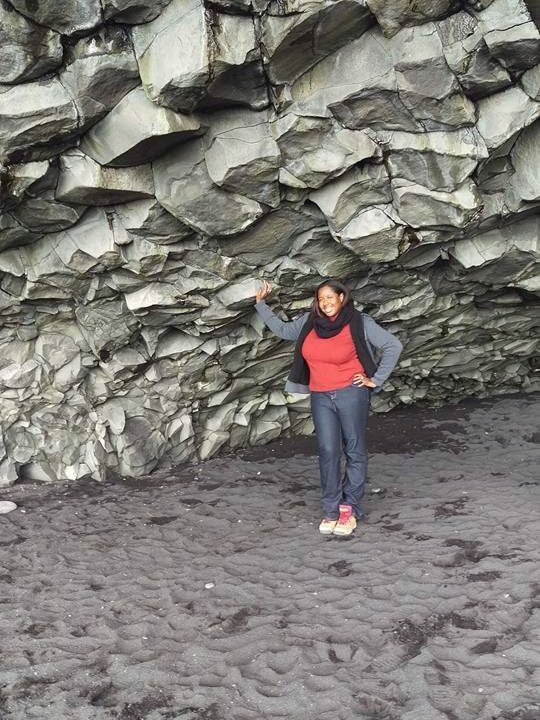 You can go from visiting a black sandy beach to a lava cave on the same day in this land of Fire & Ice. 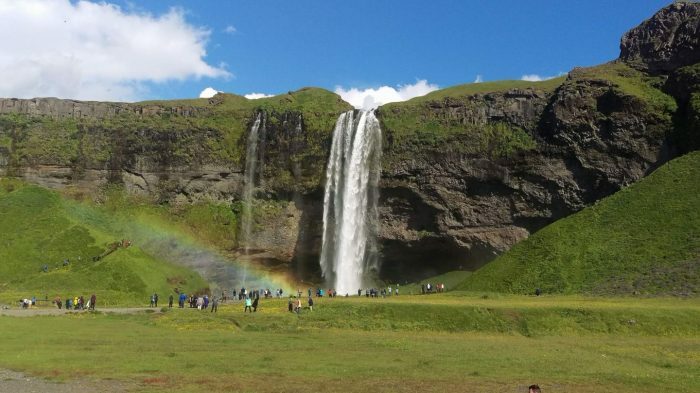 Below is a round-up of some of the best activities and places that Iceland had to offer the GTs during our meet-up this month. Enjoy! One of the things I loved most about walking around the city center of Reykjavik was the funky and cool shops that encompassed the streets of downtown. Every twist and turn displayed a funky shop with fun designs and cool architecture. 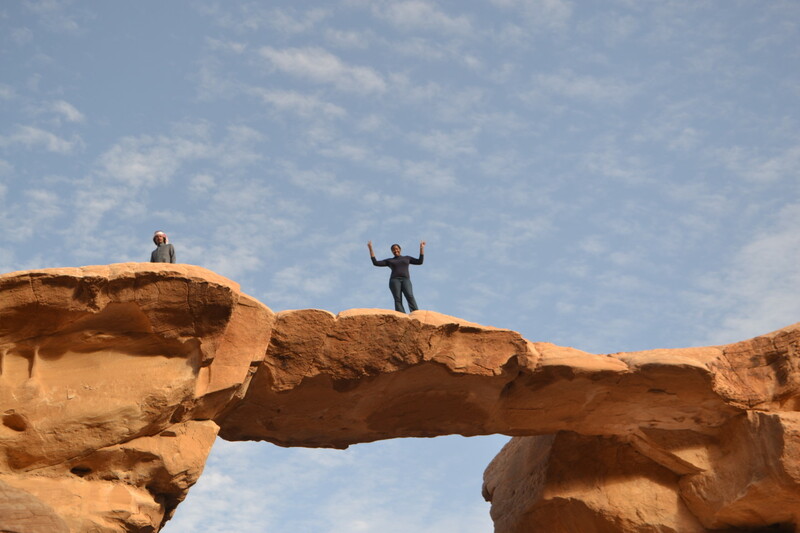 One of the things I like most about globetrotting is seeing the personality of the people and the places. Reykjavik has loads of these buildings in its city center. 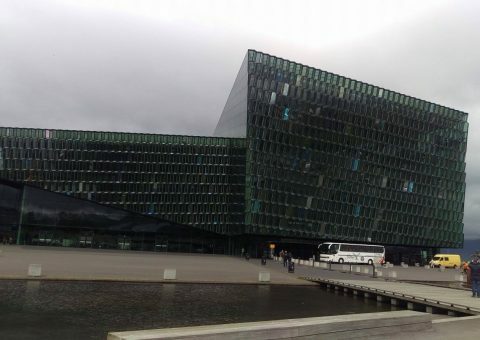 After about a 20-25 minute walk into downtown from our Galaxy Pod Hostel, we arrived upon the architectural feat of the Harpa, an iconic building that highlights local performances and shows. It’s also the location to catch the hop on/hop off bus if that is to your liking. 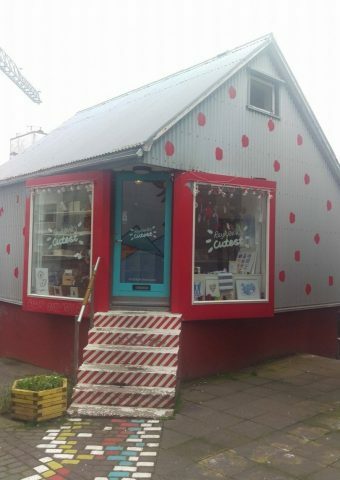 The cutest shop in Reykjavik (or so it is named lol). 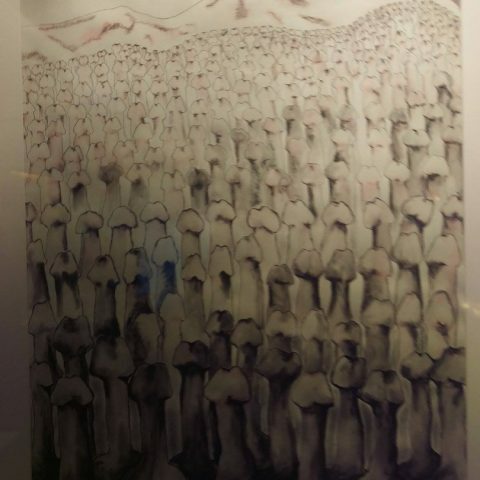 So during our walk into the city center, we randomly ran across the Icelandic Phallological Museum, which houses the world’s largest display of penile parts. Again, you got to love the randomness of Iceland :-). The collection was host to all sorts of species and mammals, including human members. 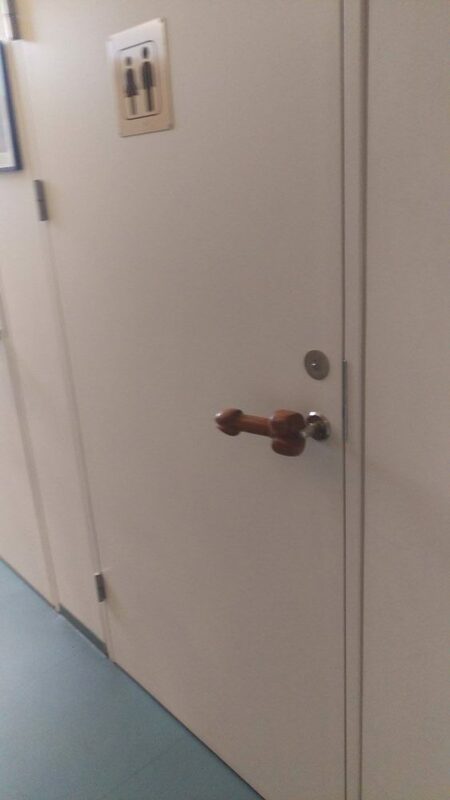 You have to be comfortable to turn that knob at the museum ;-). 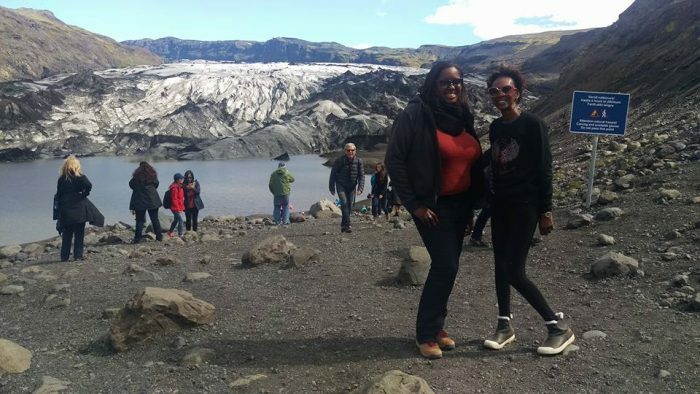 A couple of us globetrotters who attended the meet-up decided to do a combined Golden Circle tour along with horseback riding through Reykjavik Excursions. 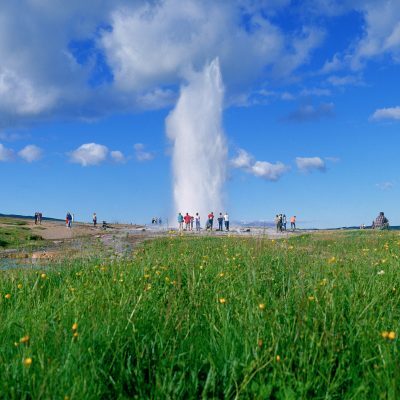 The Reykjavik Excursions tours are very well put together and I was grateful for the high-speed internet access on all of their buses while on the excursions as well. 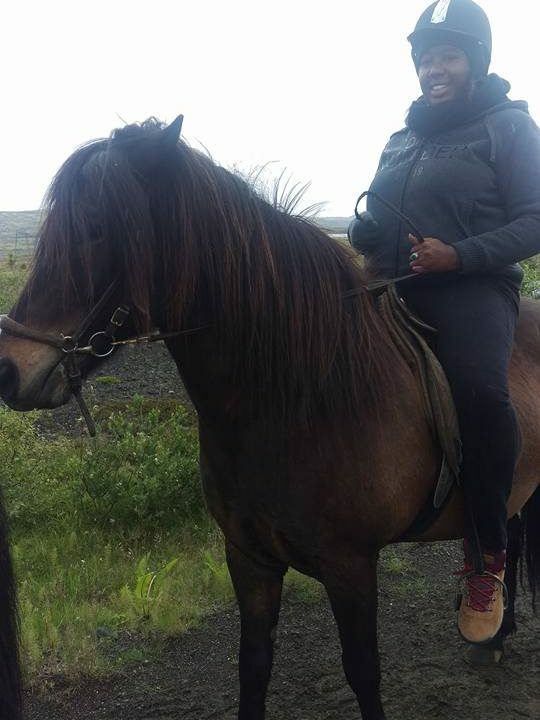 We were picked up through a partner company first to be transported to the farm for horseback riding and then joined a bigger bus of passengers to finish out the Golden Circle including the amazing Gullfoss waterfall, Þingvellir National Park and the Geysir geothermal area which boasts Strokkur, the most active geyser in Iceland. 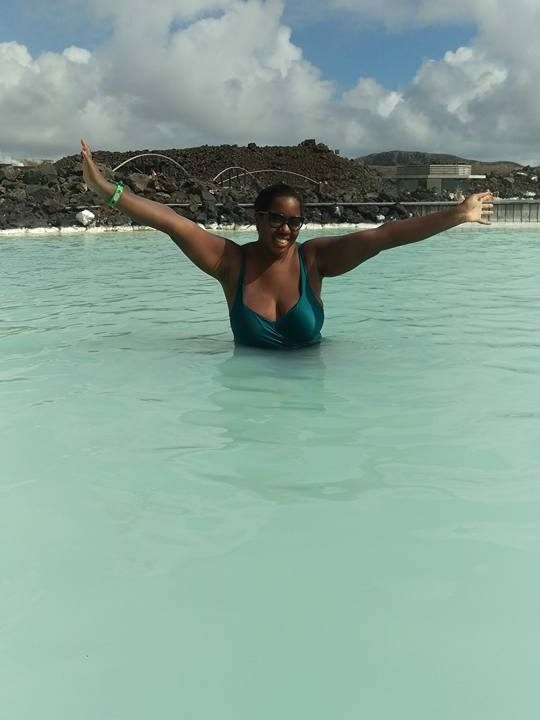 Visiting the Blue Lagoon was the stuff that dreams are made of! 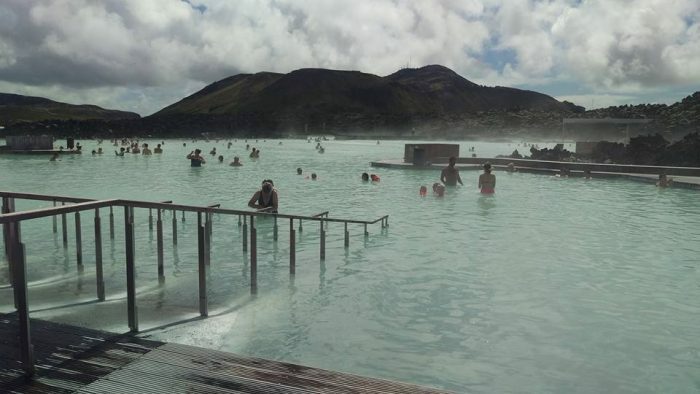 I literally spent the entire day relaxing and unwinding at this decadent geothermal spa in Iceland. 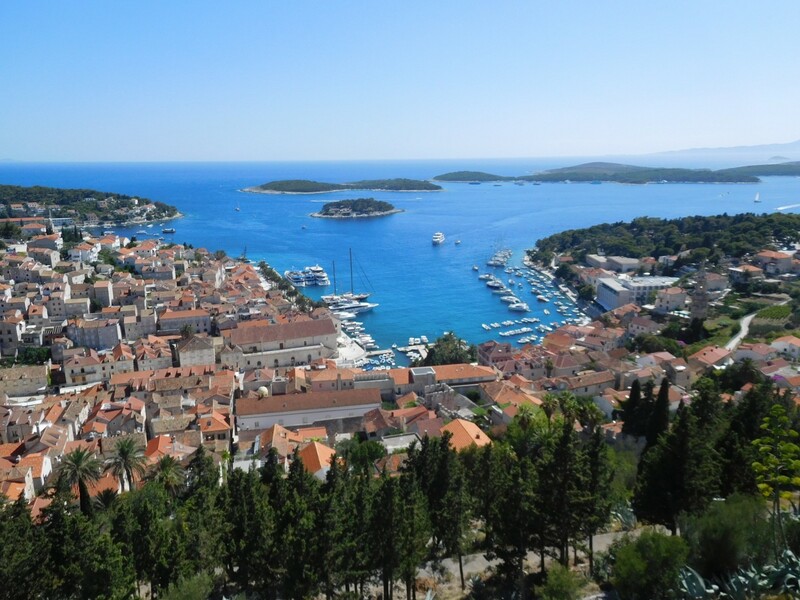 The Blue Lagoon offers packages including comfort, premium or luxury. I opted for the premium package which included the use of a bathrobe, slippers, towel, a cocktail at the floating bar in the lagoon, as well as both algae and silica masks. When I tell you this was one of the most relaxing experiences to chill in this miraculous outdoor spa where the waters reach 90F. No wonder why its one of the 25 wonders of the world. My skin felt so smooth due to the healing powers of the natural lagoon along with silica. 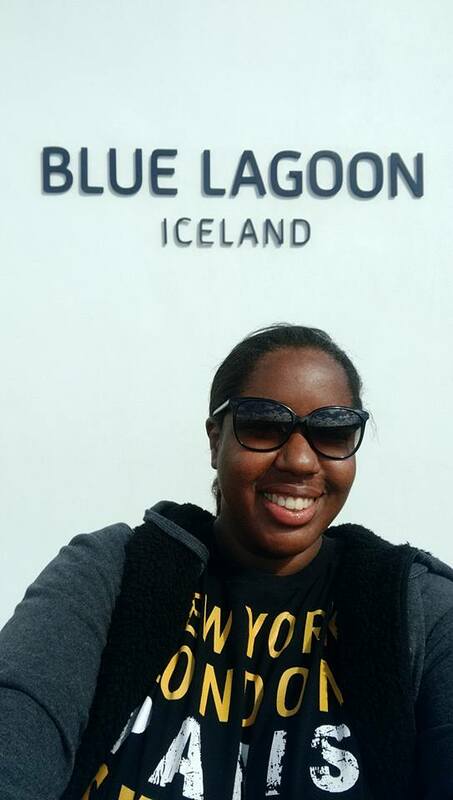 At the Blue Lagoon rocking my iluv2globetrot apparel. I have to say that personally the South Shore Adventure tour was by far my favorite day tour that I partook upon during my time in Iceland. The South coast offers picturesque landscapes, black sand beaches, dramatic waterfalls, and glaciers to view. 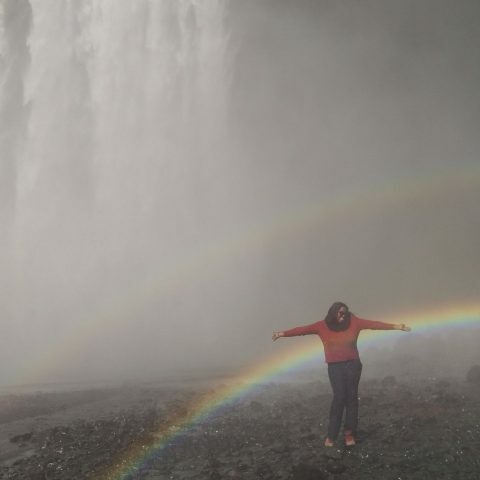 I was spellbound by both the Seljalandsfoss waterfall and the 196 ft tall Skógafoss waterfall. We also stopped at two black sand beaches while in the Vik area. The guide made sure to warn us about the dangers of getting close to shore at the black sand beach, due to its strong tides and some victims yearly who are washed away by them and sinking into the sand. It was pretty cool to see the dramatic rock formations and to visit the Skógar Folk Museum as well. 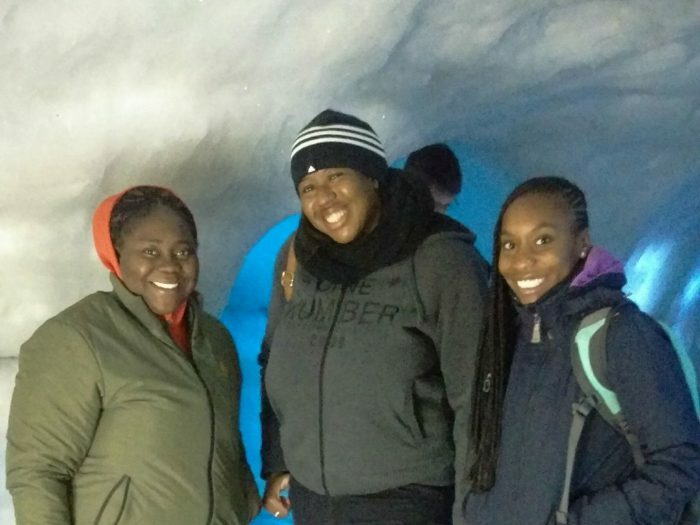 So after partaking in several tours to my week in Iceland and enjoying the time there, as much as I was interested in doing an official ice cave tour my budget didn’t allow for some of the more pricey options that were out there (the average price was around $300 USD). 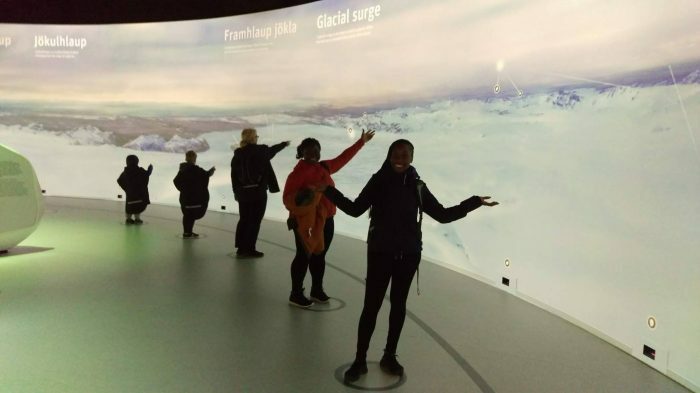 Luckily Renee did her research and saw that we could enjoy an ice cave experience at the Perlan museum in downtown Reykjavik instead at a more reasonable price of $30 USD (winning)! With some GTs from the iluv2globetrot meet-up. All smiles, albeit a bit chilly inside the ice cave :-). 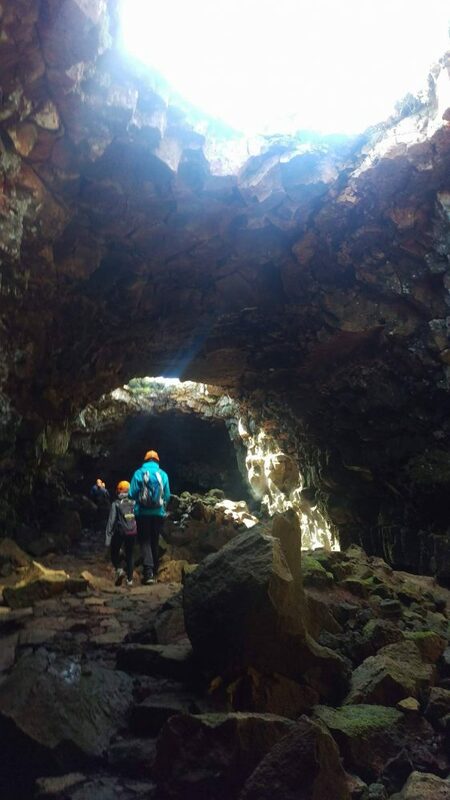 Last but certainly not least is the last day tour that I partook upon on my last day in Iceland to the Lava Tunnel Raufarhólshellir, which is located just under an hour outside of Reykjavik. 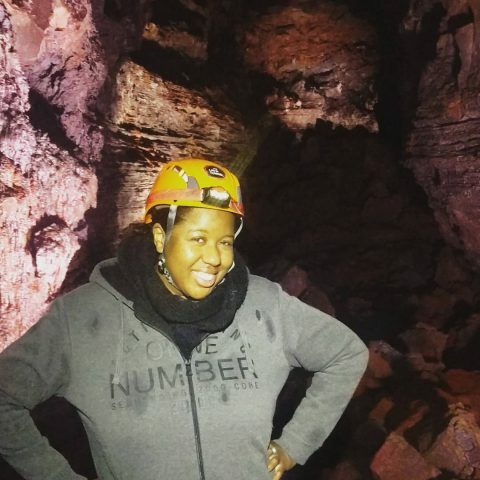 This was indeed another Amazing experience to do an hour tour inside of a 5,000-year-old inactive volcano cave! Iceland is indeed an excellent choice for the adventure globetrotter. While it can be a little pricey, I highly recommend a visit but just make sure you budget and plan accordingly for your visit! Iceland looks beautiful! Been seeing so much on it lately! Thanks for sharing.